Mexico City is dizzy with strong colours and strong flavours. Mexico's colour and colourful culture can be seen on the streets, in the restaurants and in most of our recommendations for the best places to stay in Mexico City. Even the hotels opt for bright colours here! If you feel lightheaded on arrival it's probably to do with the unexpectedly high altitude. You can quickly sort this out with a few nips of tequila in one of the stately old cantinas just off the Zócalo, Mexico City's main square. There's no shortage of art in Mexico City. Murals brighten up municipal buildings - start with Mexico's National Palace for Diego Rivera's 'Epic of the Mexican People'. 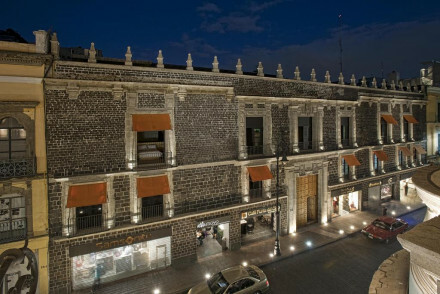 There will be plenty of opportunity to see the work of Frida Kahlo - start in the Blue House, conveniently located by the Craft Market in the Plaza San Jacinto. You may also want to see the Ballet Folklorico de Mexico perform in the Palacio de Bellas Artes or relax on a boat in the Floating gardens of Xochimilco. If you're looking for Mexico's ancient treasures, start right in the centre of Mexico City at the Templo Mayor, the main temple of the Aztec nation, now fascinatingly excavated to reveal the different layers of the city's history. Head over to Bosque de Chapultepec Park for the ancient forests and archaeological treasures housed in the National Anthropological Museum. Some people visit Mexico City solely to see this museum. Mexico City is also known for food - especially the markets. Visit the market at Tepoztlan for chillies of all kinds (and heats) and La Merced, the main food market - an excellent place to try antojitos (street finger food.). Then try out Mexico City's best cantinas. Obviously you'll be trying as many kinds of tequila as possible! You might want to start on the pink streets of the Zona Rosa. This is the hub of Mexico City's nightlife and always a good place to begin your evening and do some people watching. About an hour's drive from Mexico City is Teotihuacán, one of the great ancient sites of the Americas: a whole ruined city once home to between 60,000 and 80,000 inhabitants. Definitely a local highlight. If you have time and love silver jewellery, Taxco is worth considering for a day trip - it's where a lot of the colonial silver came from. Taxco is also supposed to be one of Mexico's prettiest towns. 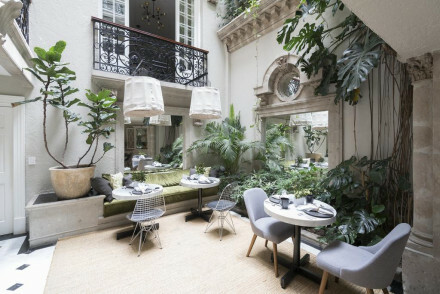 The Hotel Guru's recommendations for the best places to stay in Mexico City range from bohemian boltholes to top notch luxury and sleek design hotels. Casa Vieja's ten themed suites are decorated in colourful traditional patterns with local painting and ceramics everywhere. All rooms come with a kitchenette. 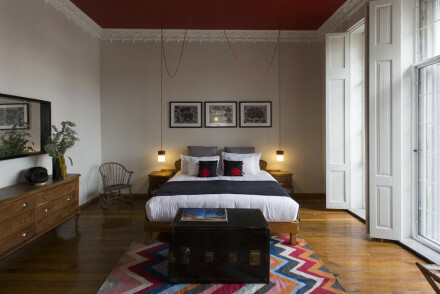 The Villa Condesa is a beautifully converted mansion in the La Condesa district with 13 lovely rooms - think plenty of light sash windows, wooden floors and luxurious bathrooms. There’s also a great Mexican restaurant. Downtown is just two blocks from the central plaza and situated within the UNESCO World Heritage Site. It’s a 17 room property converted from a 17th century colonial palace and the rooms are all suites, beautifully designed with impressively high ceilings. There’s a rooftop bar and pool too. The Hippodrome's intimate Mexican restaurant serving traditional and contemporary fare makes this a popular hotel for foodies. In the bohemian district. Condesa, it's luxuriously designed and has all the mod cons you need. Habita is a stunningly minimalist creation by a collection of architects. The walls are whitewashed, there's floor to ceiling glass and marble floors. Plus a beautiful spa and roof terrace. 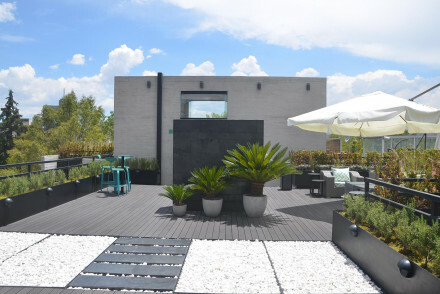 La Valise is an achingly hip, three room boutique property in the trendy Roma Norte district. The three suites are glass-fronted with contemporary art, dark wood floors and roll-top baths among other treats. Plus there’s an in-house chef who will serve up some Mexican favourites. Distrito Capital is a bit out of the way in the city’s business district, but the 30 minimalist rooms with enormous windows framing the city, will make it worth the extra travel. There’s an excellent fusion restaurant too. Being part of a chain of fun and funky hotels makes W one of the best places to stay in Mexico City for families. The colours are bright and bold, the staff are young and friendly and there are excellent views of the city. 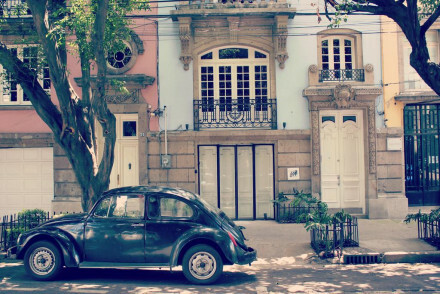 Condesa DF is one of the hippest places in Mexico City, in a hip part of town. It's has a rooftop cinema, music systems in each room, a funky rooftop bar and sushi restaurant. And all done in strikingly beautiful minimalist style. 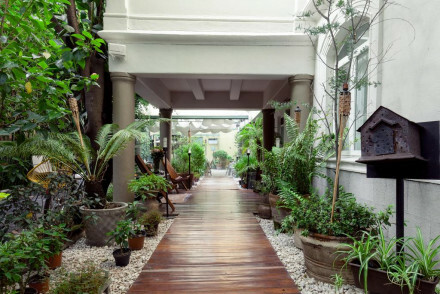 The Busue Hotel is a smart, boutique-style property in a trendy neighbourhood with 11 individually designed rooms and suites - complete with wooden floors and nice antiques - and a fantastic restaurant serving regional favourites. Small and elegant, the 35 room Las Alcobas is in the smart neighbourhood of Polanco and has luxurious, contemporary rooms and suites, two excellent restaurants and a small spa. With only four bedrooms, the adults-only Nima is a boutique townhouse offeris an intimate and grown-up city stay. There’s a lovely sun terrace and you can arrange a massage in your room. AR 218 is a contemporary collection of 39 rooms and suites - complete with kitchenettes - in the beautiful and trendy La Condesa neighbourhood. Close to everything and there’s great facilities on hand. Pugseal Boutique B&B is a boutique B&B in the beautiful neighbourhood of Polanco. The 21 suites are huge with contemporary art, luxurious bathrooms and floor to ceiling windows. They also provide complimentary bike hire. For under £70 per night you can stay at Room Mate Valentina, a near-futuristic hotel in a very central location just off the Paseo de la Reforma. Of course you’ll find the vibrant colours of Mexico City, but you’ll also find the Aztec designs and plenty of gadgets. For around £80 per night you can stay at El Patio 77, a hip, eight room B&B in a grand building. Carefully renovated and decorated with antiques and stylish contemporary pieces, the eight rooms have four-poster beds and luxurious bathrooms. Most visitors arrive in Mexico City by air via the Benito Juarez International Airport, which is in the eastern part of the city. From there you can catch a bus or the Metro, or a taxi - this can be a slightly more complicated system than you’re expecting and involves buying a ‘taxi ticket’ from licensed vendors. As far as the weather is concerned, the best time to visit Mexico City is between March and May. This is when most visitors come - in winter it can be quite cold and in summer it can be quite rainy. A near-futuristic hotel boasting a very central location. Vibrant rooms feature brightly coloured Aztec inspired designs on the walls, luxurious bathrooms and plenty of gadgets. Indulgent breakfasts are served and staff are incredibly friendly. Easy access to the city's attractions. Very chic. City Style - An uber contemporary hotel well located off Paseo de la Reforma. Sights nearby - Visit the impressive golden Angel de la Independencia. A hip B&B hitting the mark on style, sustainability and location. A grand building, lovingly renovated, mixing antiques and contemporary pieces. Stunning rooms feature four-posters and luxurious bathrooms. The owners have created a laid-back vibe popular with families, artists and lovers alike. 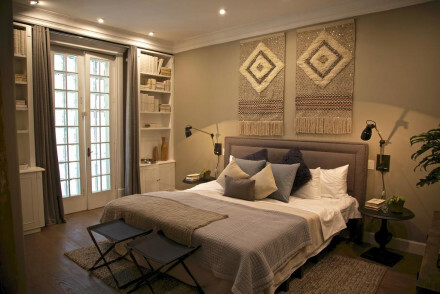 City Style - A hip B&B perfectly combining chic style and sustainibility. Sights nearby - Visit the impressive Monumento a la Revolución and ride the glass elevator to the top. Local markets - Wander through the enormous San Cosme Mercado and get a real taste of the city. Great walks - Take a walk through the picturesque Alameda Central. A beautifully converted mansion located in the hip district of La Condesa. Light and airy rooms feature sash windows, wooden floors and luxurious bathrooms (the best have marble bathtubs). An exemplary Mexican restaurant sits in the pretty central courtyard. The perfect base for city exploration. City Style - A converted mansion located in one of Mexico City's best neighbourhoods. Cooking classes - Learn to make Mexican delicacies with the hotel's chef. Sights nearby - Wander the ruins of the Templo Mayor. Restrictions on children - Children over 12 are welcome. A boutique property situated in a colonial 17th-century former palace. Seventeen suites are beautifully designed with natural hues, light pine furniture and impressive high ceilings. A chic rooftop bar and swimming pool are the 'piece de la resistance'. Well located in the historic centre. Fabulous. Local exploring - Just two blocks from the Central Square and situated within a UNESCO World Heritage Site. Sights nearby - Visit the Cathedral and bustling El Zocalo Square within walking distance of the property. 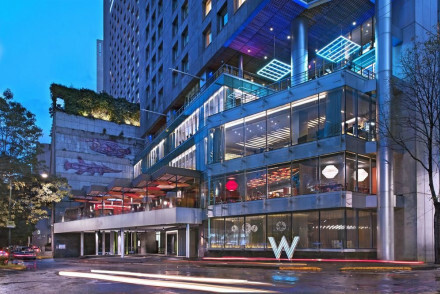 An ultra hip hotel located in Mexico city's business district. Minimalist rooms feature dark hues, clean lines and enormous windows framing fabulous city views. Dine in the excellent fusion restaurant and unwind by the tranquil pool. With easy access to the city's attractions this is a winning spot. City Style - A chic modern hotel with fabulous views and a superb restuarant. 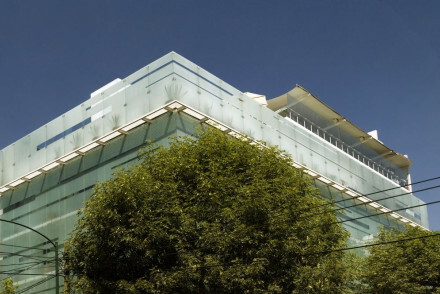 A contemporary hotel in Mexico City's trendy La Condesa neighbourhood. A collection of sleek suites comprising of kitchenettes, all the mod-cons and plenty of contemporary style. Proximity to the city's major attractions, restaurants and bars makes this a winning choice. Local exploring - Well located in a neighbourhood that provides easy access to Mexico City's sights, restaurants and night life. A cool and collected design orientated boutique hotel in the trendy Polanco. The plush rooms are contemporary and stylish with the occasional nod to mother nature from wall murals and artworks. The complimentary Mexican breakfast is fantastic and the communal spaces are peaceful and refined. Great walks - The incredible Bosque de Chapultepec is just a ten minute taxi away, wander the grounds of one of the hemisperes largest parks! A smart boutique property in a trendy neighbourhood. Individually designed rooms mix contemporary style with traditional charm; think wooden floors, antique furniture, clean lines and modern art. A fantastic restaurant serves up regional dishes. The perfect base for exploring the city. Local exploring - Well located with many of the city's attractions within walking distance. Sights nearby - Make a trip to visit the impressive Palacio de Bellas Artes. Great walks - Take a stroll around the picturesque Chapultepec Park. One of two boutique properties offering chic style and an excellent central location. Expansive suites are light and airy with contemporary art works, luxury bathrooms and floor to ceiling windows. Indulgent breakfasts are served and bicycles offered for city exploring. Fabulous. 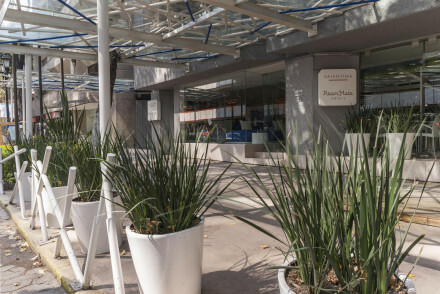 Local exploring - A centrally located property in the hip neighborhood of Polanco. This design-conscious boutique hotel exudes charm and hip living in an art-deco building. Chic rooms are home to natural timber floors and furnishings, travertine-stone bathrooms and all the mod cons. Fantastic top floor penthouse. Intimate Mexican restaurant. A trendy spot. City Style - Sleek and minimalist design, oozing understated elegance in one of Mexico City's hippest neighbourhoods. Great walks - The nearby Hipódromo neighborhood is famed for its edgy scene and vibrant street art, well worth walking around. Sights nearby - A ten minute drive brings you to the Western Hemispheres largest park, Bosque de Chapultepec. A strikingly designed hotel in the trendies district of Mexico City. Elegant interiors by Parisian, India Mahdavi give a classic chic feel to the rooms. However the stage is stolen by the beautiful leafy green rooftop terrace, a peaceful heaven in a hectic city. Totally charming and cutting edge. 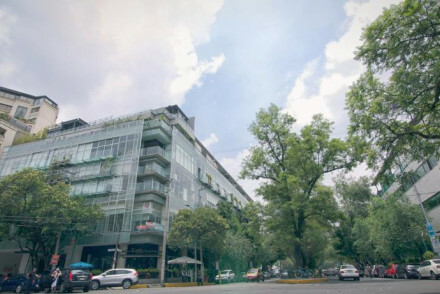 City Style - This happening hotel is the center of action in the Condesa Area, and one of the rare leafy outcrops of Mexico City. Lively - Basement cinema, disco, and terrace make this hotel a happening place to be. Great walks - Wander around the enormous Chapultepec Park with plenty of lakes, forests and museums to check out. A small elegant property in an upmarket district. 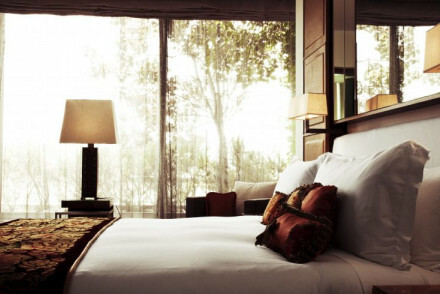 Luxurious rooms are contemporary in style with floor to ceiling windows, sink-into beds and soft hues. Boasting two excellent restaurants and a small spa this is a has-it-all property in a neat little package. A fantastic base for city exploring. 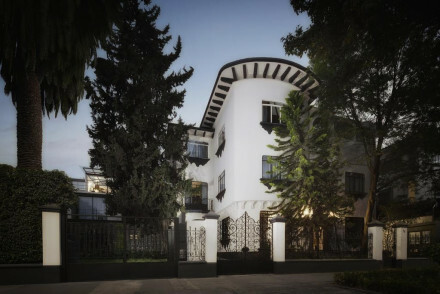 City Style - An elegant property in the smart neighbourhood of Polanco. Sights nearby - Visit one of Mexico's most recognizable sites the Teotihuacan Pyramids. Great walks - Take a stroll around the scenic Chapultepec Park. Restrictions on children - Children over 7 are welcome. 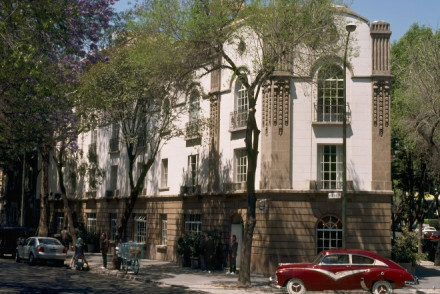 Nima is located in Mexico City's La Roma district, just a short distance from the centre. This boutique townhouse offers four chic rooms, a lovely sun terrace full of tropical plants and great breakfasts! Enjoy a massage in your room after a long day sightseeing. An intimate city stay. This stunning minimalist creation is the brainchild of ten renowned architects. Crisp white on white, ceiling to floor glass, and marble floors create airy spaces. This hotel oozes an exclusive feel, from the rooftop bar and pool to the luxurious spa and trendy restaurants. Sleek and chic. Architectural - This hotel is the magnificent product of 10 architects' collaboration. Sights nearby - Under 10 minutes away find Chapultepec Park with nine museums, a zoo and open air performance art and music. Great walks - Follow the jogging route map provided by the hotel and explore the local area . An achingly hip boutique property located in Mexico City’s trendy Roma Norte district. 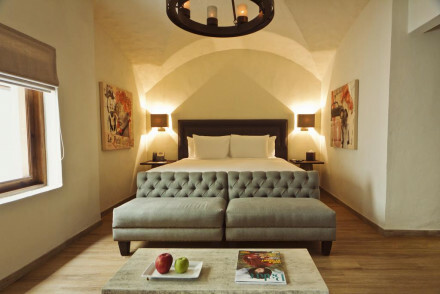 The three suites feature glass fronted walls, dark wooden floors, contemporary art, roll top baths and plenty of space. An in-house chef will whip up Mexican delights to order. Oh-so chic. City Style - An uber hip three bed property complete with movie projectors, Egyptian cotton sheets and L'Occitane products. Sights nearby - Make a trip to the Archaeological Site of Teotihuacan. 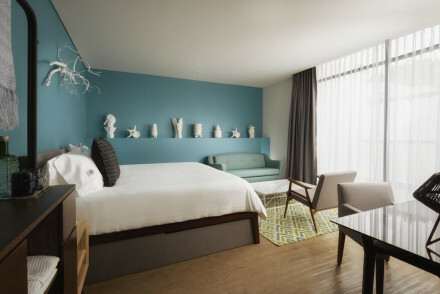 A contemporary hotel decked out in the vibrant colours of Frida Kahlo and Diego Rivera. Spectacular views of the city from the plush suites, world-class spa and a choice of three restaurants. Attracts a chic, young crowd. Totally hip. City Style - In the uber trendy Polanco neighborhood, with chic modern decor, avant garde art and a lively terrace bar. Views - Fabulous views from the top suites over Mexico City. Great walks - Part of Bosque de Chapultepec, one of the largest parks in the world, runs through Polanco. Sights nearby - Paseo de la Reforma, Mexico's answer to the Champs-Élysées is just minutes away. A charming four room boutique in Mexico's chic Roma area. This turn of the century mansion forms a wonderfully intimate and stylish hotel with everything you could want from indulgent linen to pillow menus and turn-down cookies. Room service offers basic foods, the staff will guide you to the rest!